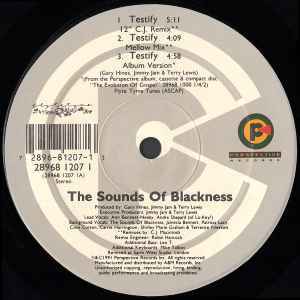 This is the only CD that has the Testify (12" Amen Dub) on it. One of my favourite tracks by Ann Nesby & the rest of the S.O.B. And this one got the CJ Mackintosh treatment which are dubby on the house versions. However he showed us once again that he can slow the tempo down which comes through on his Mellow Mix & 12" CJ Remix. These mixes are probably the reason why i like this track so much. The album version is a nice addition too.